Greater Manchester Fire and Rescue Service Training Centre was an exciting venue in which to host the recent Mosaic Connect event in the North West. 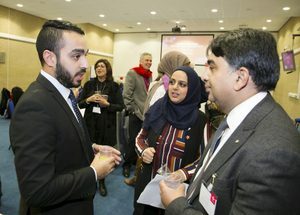 After a warm welcome from Geoff Harris, the Assistant County Fire Officer, the event went on to celebrate the achievements of Mosaic’s mentoring programmes in the region over the past six months and encouraged everyone attending to help ensure the rest of the year is just as successful. 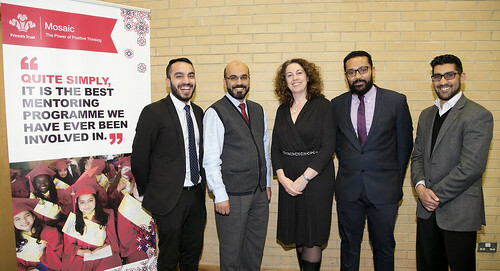 Mosaic is currently working with 45 schools in the region, with its programmes being delivered by a team of 180 mentors. The celebrated Enterprise Challenge competition is also now underway with the Regional Final taking place on the 28th of March at the offices of KPMG in Manchester. The keynote speaker at the Connect event was speaker Othman Moqbel, CEO of Human Appeal, who also took part in a fascinating Q&A session. He said: “It’s always such a pleasure to speak at Mosaic events, and especially to promote something close to my own heart, which is the importance of mentoring. Mentoring makes you humble and when you mentor someone you also discover so much about yourself. I find mentoring to be a responsibility that you cannot take lightly, and I truly commend all of Mosaic’s wonderful volunteer mentors”.